The highly acclaimed Anthem with Tru-Mic technology is now available as a side mounted system. 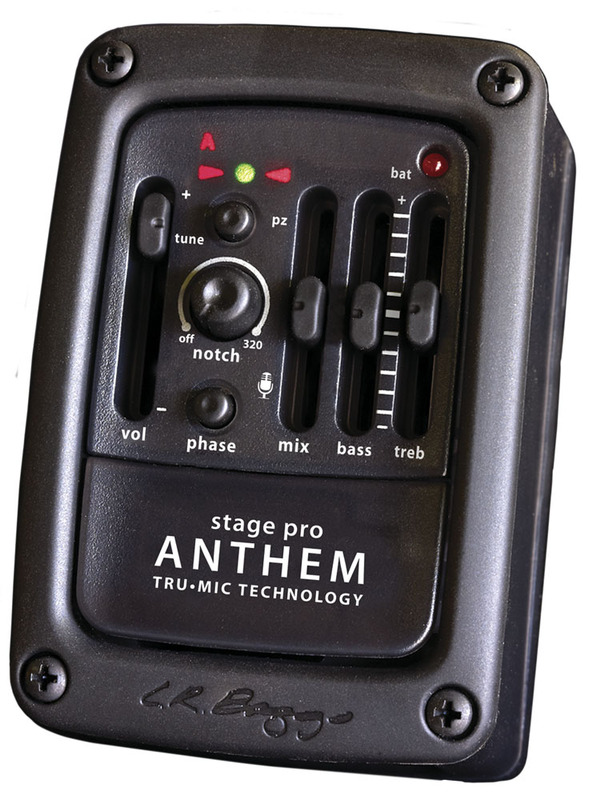 The Stagepro Anthem preamp offers external battery access and a full chromatic tuner that is hidden beneath the control panel to maintain a classy, clean look. A two band EQ with phase inversion and notch filter controls offer tone shaping and control over feedback on any stage. 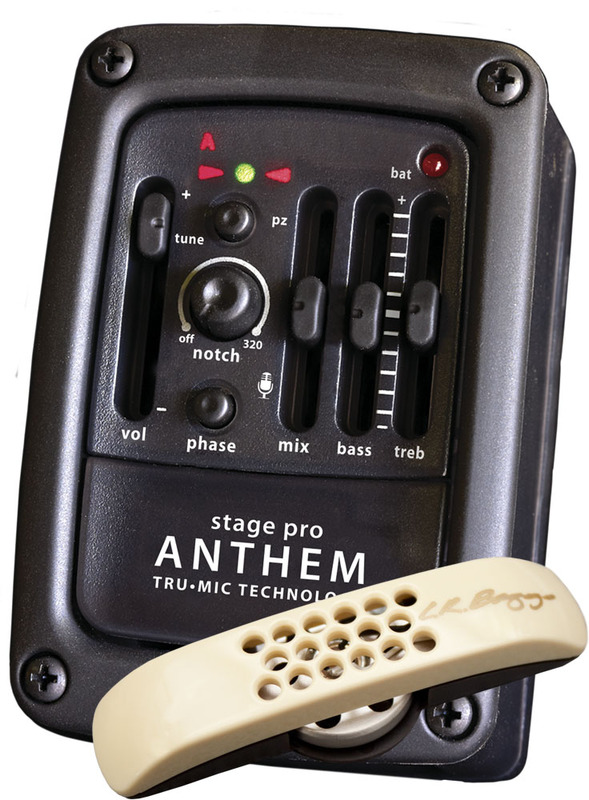 The StagePro Anthem system includes the Anthem Tru-Mic and the Element undersaddle pickup. The innovative Anthem Tru-Mic internal microphone mounts on the bridge plate and the Element pickup is installed under the saddle. The StagePro preamp has a mix control that allows blending the signals from the Anthem Tru-Mic and the Element pickup for best effect. 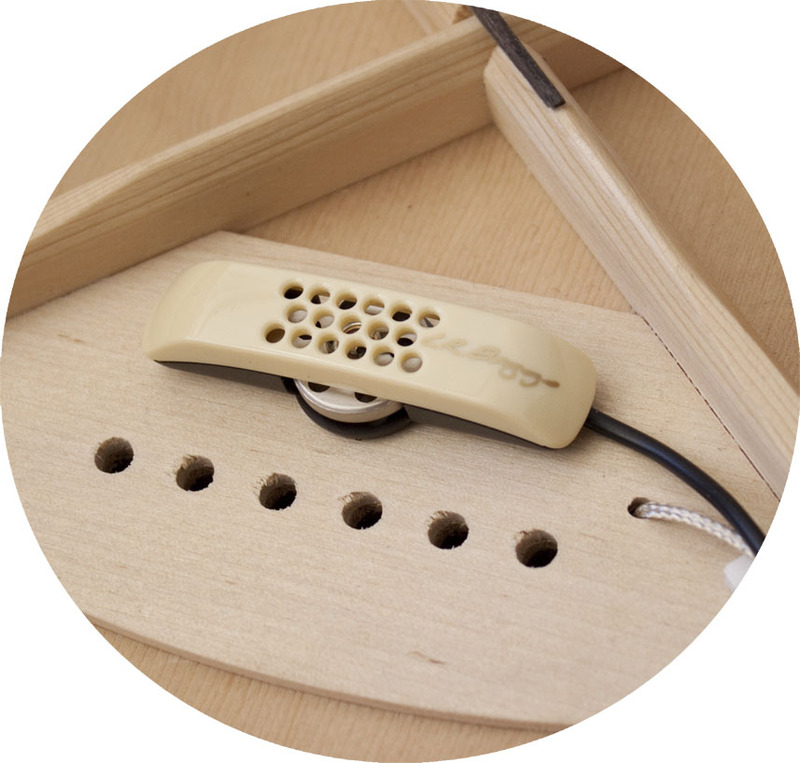 The StagePro Anthem system provides exceptional acoustic sound reproduction, excellent attack and sustain and realistic presence and is incredibly feedback resistant. Preamp size: 3.5" x 2.8" x 2.2"
Fishman Prefix Plus-T Onboard Preamp/EQ/Pickup .094"